"Guitar playing of uncommon originality and authority. Musicality, expressivity and daring." 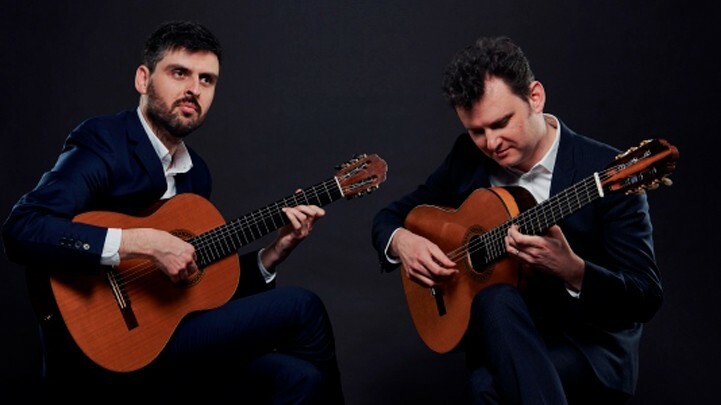 Guitarists, Slava and Leonard Grigoryan are counted amongst the finest musicians of their generation having developed a reputation for enthralling audiences with the energy of their performances and the breadth of their repertoire—embracing genres such as classical, jazz and contemporary music from around the world. Between them, they have received 4 ARIA awards (Australian Recording Industry Association) and an incredible 25 ARIA Award nominations. As a duo they have recorded 11 albums with the 12th coming out in 2019. For this concert the brothers will be performing songs from their latest release, Songs Without Words, which sees a return to classical repertoire and includes songs by composers such as Bach, Elgar, Dvorak, Rachmaninoff, Faure, De Falla and Ponce all masterfully arranged for them by their father Edward. The concert also includes other works highlighting Slava and Leonard's diverse skills.